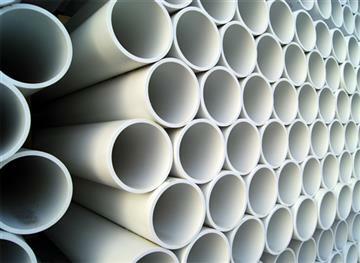 PVC pipe and PVC-U pipe are formed by hot pressing of polyvinyl chloride (PVC) resin and stabilizers, lubricants, etc. They are the first developed and applied plastic tubing. Commonly used PVC pipe drains regular specifications are as follows: nominal diameter, respectively:32mm, 40mm, 50mm, 75mm, 90mm, 110mm, 125mm, 160mm, 200mm, 250mm, 315mm. The length of the PVC - U pipes for common is 4m/6m. Function: There is water pipe and drain pipe of PVC, used in municipal/industrial/civil water supply and drainage, irrigation and vegetation water, etc. Application: PVC pipes are widely used in building materials, packaging, pharmaceutical and other industries. In the steel structure system, it is mainly used in steel structure building water supply and drainage.